The long drawn out process of updating Android hardware to later versions of the operating system looks set to continue with less than two percent of hardware currently using Android 4.1. The updating of the Samsung Galaxy S3 has seen many false starts but it is now thought the Jelly Bean update will hit most regions this month. Owners of the Samsung Galaxy S3 have been waiting a while now for their handsets to be updated, and it seemed the update had begun rolling out last month as owners in Poland began to see the new software. Now as the Android Police are reporting owners of the handset in Sweden have begun receiving it via KIES. This is the official version of the software with the build being called 4.1.1 I9300XXDLIH, and seems to be destined for unlocked versions of the Galaxy S3. Hopefully any bugs that appeared with the software in Poland have been fixed, and should mean other European countries could also be about to get the software as well. Meanwhile Sammobile are reporting that the Jelly Bean update should reach most countries by the end of this month, and the company also took to its Facebook page in the UK to reveal the Galaxy S3 should be available by the end of October. It is not known if this stage of the rollout will include users in the US that have been left frustrated waiting for Android Jelly Bean to arrive. Considering this is the flagship smartphone from Samsung you would have thought the company would have upgraded the software by now. The US release of Jelly Bean for the Galaxy S3 should be close though, as earlier this month a version for US carrier Sprint leaked, but it always seems that Samsung provides its US customers with software updates last. 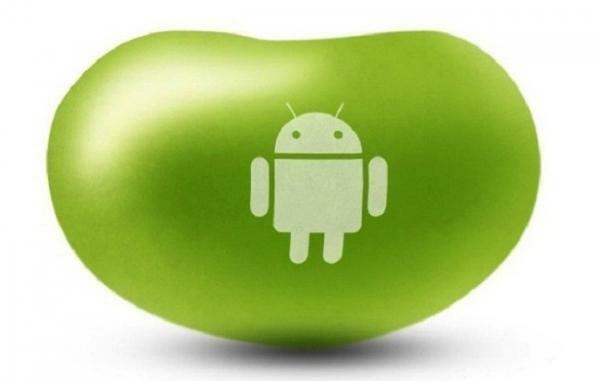 Are you growing frustrated with the wait for the Jelly Bean update? Well…in a word…Yes. Samsung should do these updates a lot faster. For the first time I’am actually thinking of Xda… or Google Nexus of some kind for the next phone. Yet again, Samsung show that they are good with Hardware, but woeful with Software. Were any of us surprised? I am fortunate enough to have both a Nexus7 and a SG3 and have to say I am beginning to I prefer the TouchWizz Overlay it just feels better. Hell Yeah. It takes them forever to release it, in update way Apple is better. Come on. Your phone works on ICS. Let them get it right or you will be complaining about bugs! Jelly Bean isnt a game changer. And as for saying Apple is better… really? I’m rooted and have Liquid Smooth Jelly bean leaked on my phone ready to flash. Just been waiting to see how long the official release was going to be. If your tired of waiting check it out seems to be very stable and super smooth…..
Why is the U.S. always the last to receive updates for everything from software to hardware. i think Samsung should learn from apple bloody release update at one time all over the world rather than country by country it seem dis organised no one knows when its going to be released. Why can’t Google put updates in Play store and release a list of devices that are compatible – it would cut out the service providers and hardware manufacturers… a pipe dream perhaps, but Apple do it, of a fashion (though I am Apple adverse right now). Be carefull what you wish for. You may regret it. I knew that SKY GO is not supported on Jelly Bean and when I saw that there was an upgrade available I assumed that it was just a point upgrade (4.0.x to 4.0.x+1) and not a full version upgrade. Had I known I would never have installed it yet, unfortunately I did. Damn 3 for not warning it was a full OS upgrade. Damn me for being an idiot for installing it without checking.